As many of you know, I gave birth to a gorgeous baby girl back in July. I am in shock at how much time has passed since her arrival...she is almost 19 weeks old already!!! She is my fourth baby and it always amazes me how each baby is so different. All of my babies are pretty consistent in at least two areas...they all loved bath time and they all HATE the car seat. Ha! I have yet to have a baby who doesn't like bath time and I have to admit, I love giving them baths. I still do even though they are older. Having a new baby in the house is so much fun and I find that bath time is such a great time to bond and relax both you and the baby. I have heard of Earth Mama Angel Baby products in the past but had never used them. It isn't that I didn't like them, I just never had the opportunity to try them and for me, that is helpful. Many, many moms today are concerned about the ingredients in products that they use with their babies. Whether it be diapers, wipes, formula, lotions, shampoos and other body products, most popular baby care products are loaded with chemicals. Like it or not, what our mommies used on us are not the preferred brands anymore. I have a hard time with this because I love some of the products my mom used. But, when it comes to my baby's skin, I try to use organic baby products. Melinda began formulating organic herbal remedies for friends in her Oregon kitchen many years ago. Her love of organic gardening, passion for herbs and desire to find safe products for mamas and babies led to founding Earth Mama Angel Baby, an industry leader in safe, natural and organic herbal products. 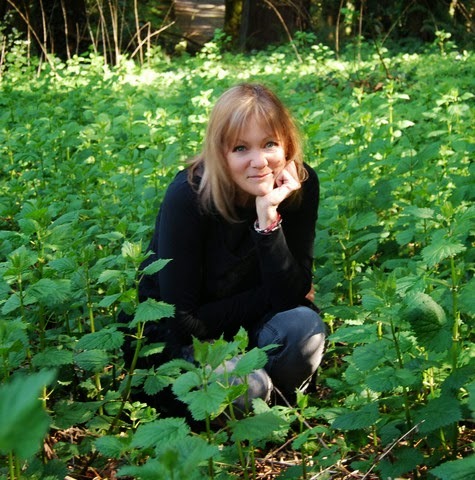 Melinda is an expert in the benefits of plant medicine, and continually balances her trust and care of traditional herb wisdom with evidence-based research. For over a decade Earth Mama Angel Baby has been supporting mamas and babies through the entire miraculous birth process, offering nature’s perfect solutions to perfectly natural pregnancy discomforts. For this review, I was sent two luscious products from Earth Mama Angel Baby and I was SO excited about trying out these products on my baby girl. The Calming Lavender Lotion and Calming Lavender Shampoo & Body Wash were the two products I was sent and if you know anything about Lavender, you know how wonderful it is for babies and the calming effect it provides. I love the Calming Lavender Shampoo & Body Wash because it is a soft, silky foam. The pump is also really nice and gives you just the right amount. You can use this Shampoo & Body Wash for bubbles in the bath, or for use on the hair and skin. The scent is amazing...a soft combination of Lavender and Vanilla, your baby will LOVE it! This soap is a natural castile soap so please remember that it is not "tear-free" and you will want to be careful around baby's eyes. The Calming Lavender Lotion is wonderful as well. It is softly scented and I use it all over baby Rebekah's body. It works great for massage too and I always rub the baby down well with this lotion. What I love is that this lotion contains Calendula, which is great for sensitive skin and skin issues. My son had awful eczema and Calendula based lotions worked the best for healing his skin. As you can see, I have a relaxed, calm baby who is rubbed down and ready for bed. I thoroughly enjoyed trying out these products and I have been using them ever since I first tried them. 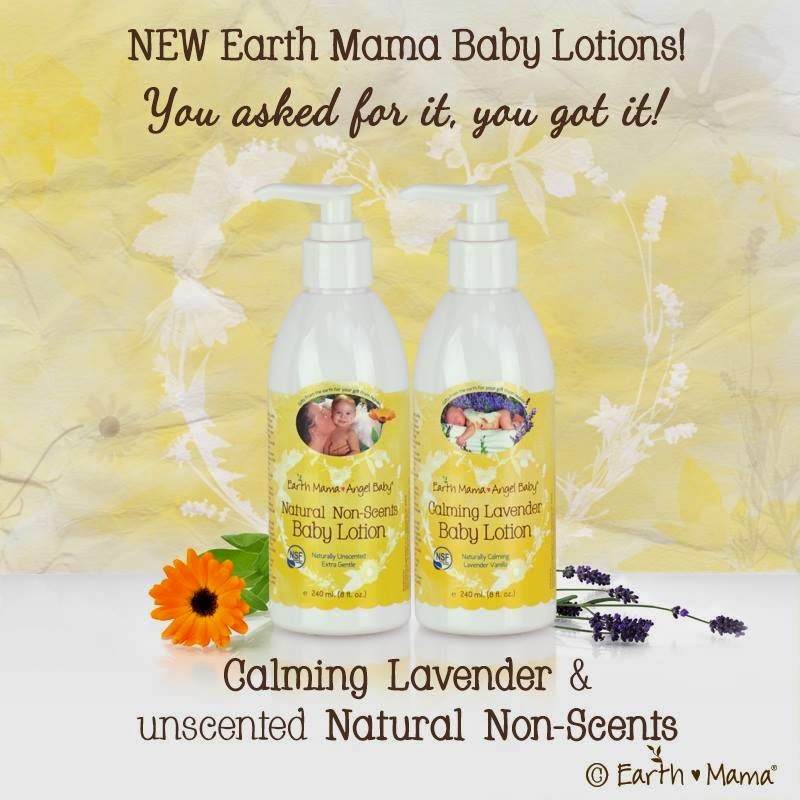 You can purchase the Calming Lavender Lotion and Calming Lavender Shampoo & Body Wash directly from Earth Mama Angel Baby's website, or by checking out the store locator for stores near you that carry these and many more products. So, as a mom, I would definitely recommend these products to you and love using them on my baby. Be sure to check out Earth Mama Angel Baby on Facebook and also on Twitter and let them know how you feel about their wonderful products. Trust me...you will LOVE them! Disclaimer: I received no monetary compensation for this post. I did receive free Earth Mama Angel Baby Products for review purposes. All quotes and stock photos are from the Earth Mama Angel Baby website and email. My photos are my own and may not be used without my permission. All thoughts and opinions are 100% mine. These products look wonderful for a terrific gift. Your baby is just adorable too!